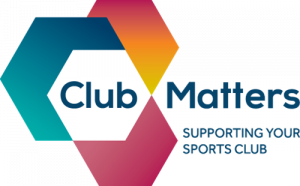 Club Matters is Sport England's one-stop shop for sports clubs. Club Matters provides free, convenient, practical resources to help you develop and run a sustainable club. Club Matters gives you access to free innovative tools to help develop your club. What is available? Club improvement tool - As well as providing insight into your club, the Club Improvement Tool will produce a club improvement plan and signpost you to recommended resources to help you develop your club. Club Views - Club Views, is a club feedback tool designed to help you seek the views of your players, members, coaches and volunteers about all aspects of your club. The tool includes suggested questions you may want to include. Club Mark - Clubmark is the universally acknowledged cross-sport accreditation scheme for community sports Clubs.